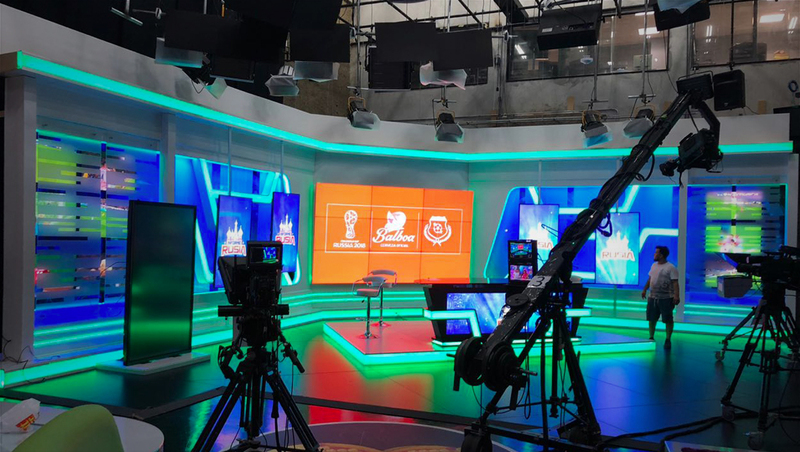 Panamanian network TVN created a World Cup studio design blending layering with a high-tech look. The set’s foundation is a clean white-gray surface and a corner video wall, while large openings in the walls are filled by layers of glass, background elements and additional video panels. The set was designed Javier Alvarez of Diseño Comunicación. 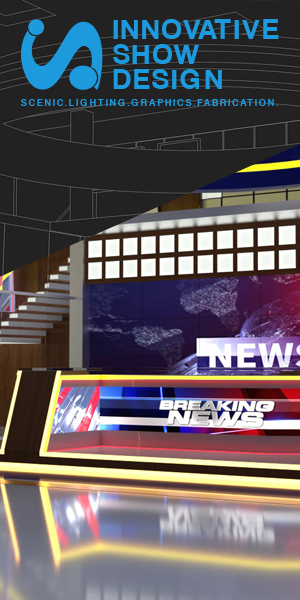 In front of the main video wall, meanwhile, a compact anchor desk combines an angled, internally lit band that matches the horizontal elements installed in the set’s header, risers and knee walls. All of these elements can change colors to give each show a unique look. An oversized vertical video panel is placed off to one side in front of a frosted glass wall that is in turn backed by a monitor wall array. Additional vertical panels flank either side of the anchor area, installed on sleek poles that let the network bring them a bit closer to the camera than the backdrop behind.